It sounds like the beginning to a joke, right? But alas, it’s no joke! 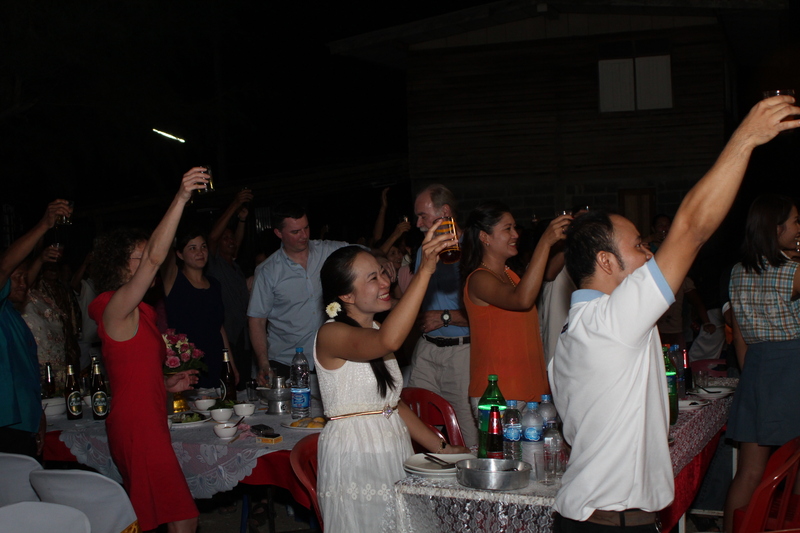 We recently returned from a trip to Thailand, in part, to celebrate my sister and brother-in-law’s wedding. Disclosure: sis and bro-in-law actually got married here in Seattle about a year and a half ago. Yes, Seattle’s Best Chair Covers did supply the beautiful chair covers! The wedding in Thailand was to celebrate sis and bro-in-law’s marriage with our mom’s side of the family. 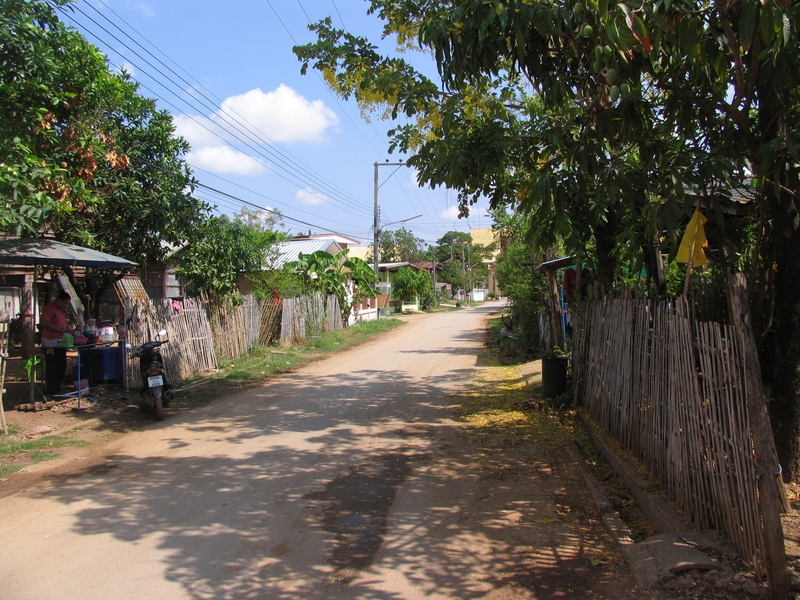 The festivities took place in a small village northeast of Bangkok called Chaiyapoohm. As we were driving into the village my mom said, and I quote ‘welcome to the jungle!’ There was no Space Needle backdrop here! 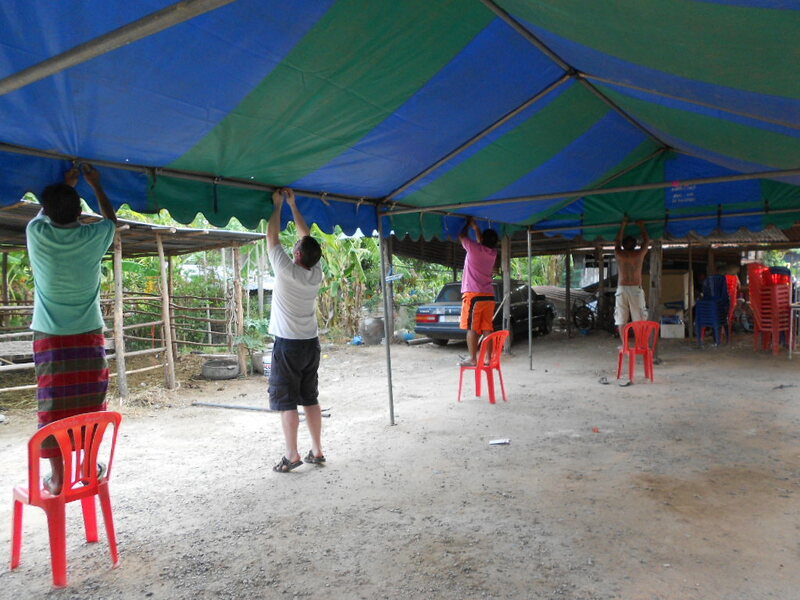 Surprisingly, traditions are pretty similar in Thailand as they are here in the U.S. (with a little twist, of course). 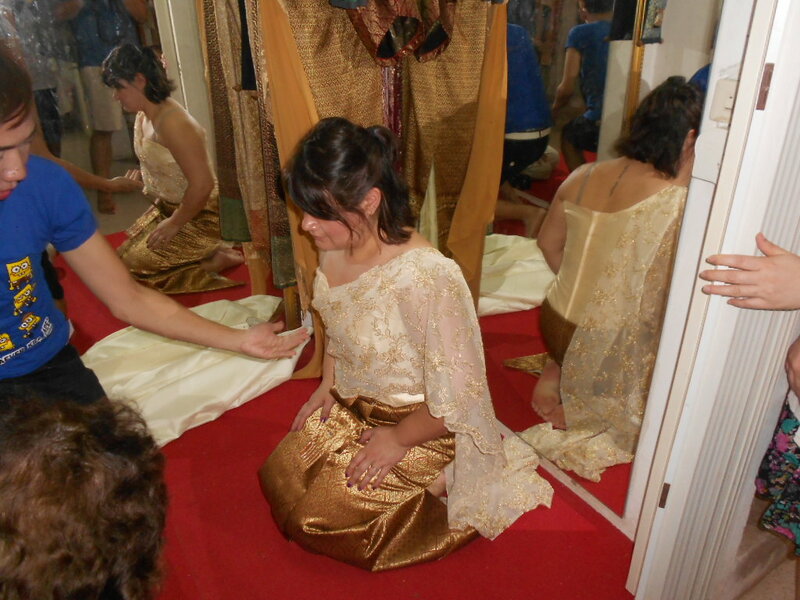 We went shopping for traditional Thai wedding outfits for the bride and groom, set up tents and decorated, did our nails, and celebrated with friends and family. The ceremony part of the wedding is where similarities stop. 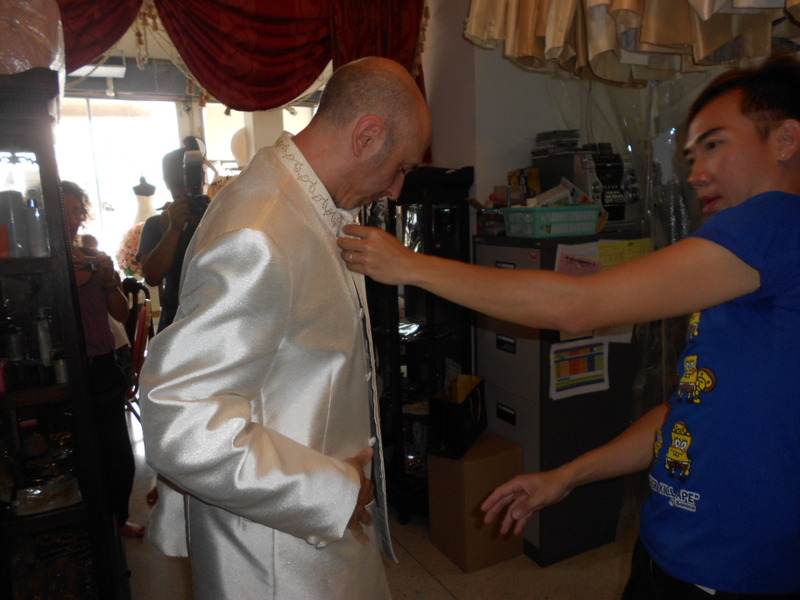 Let’s face it, not many U.S. wedding ceremonies start at 6am and have nine chanting monks. I’m not going to go into detail about what happens during the ceremony since there is SO much that happens. Just take my word for it – despite the intense heat, it was moving, beautiful and such an experience to witness. 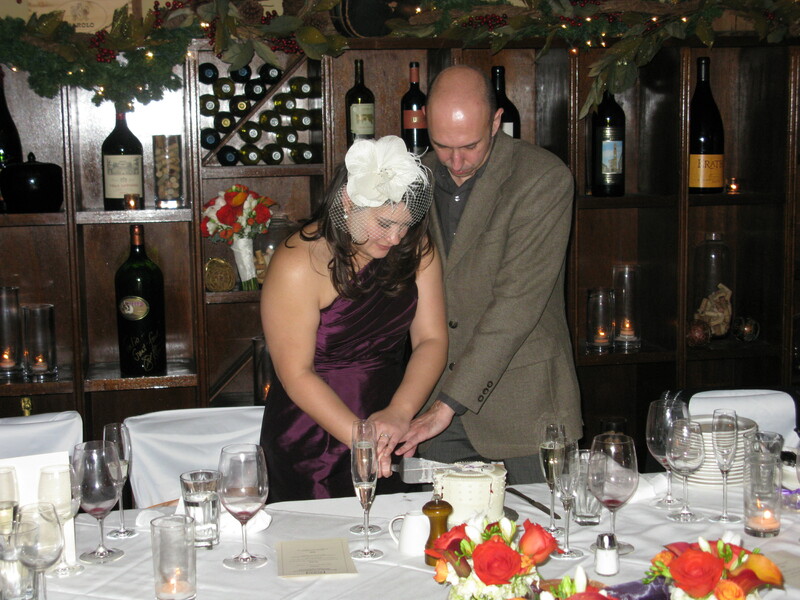 And I’m not saying this just because it was my sis and bro-in-law’s wedding. So, several hours later and several blessings later, it was time to eat, drink, be merry and dance! 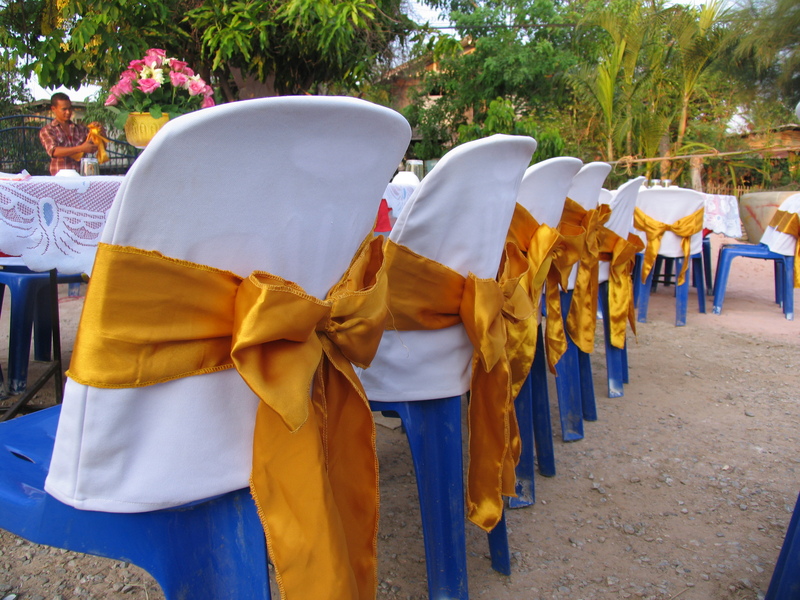 Check out the chair covers in Thailand!! I had no idea the catering company was going to use these but it was so awesome to see! Love it! 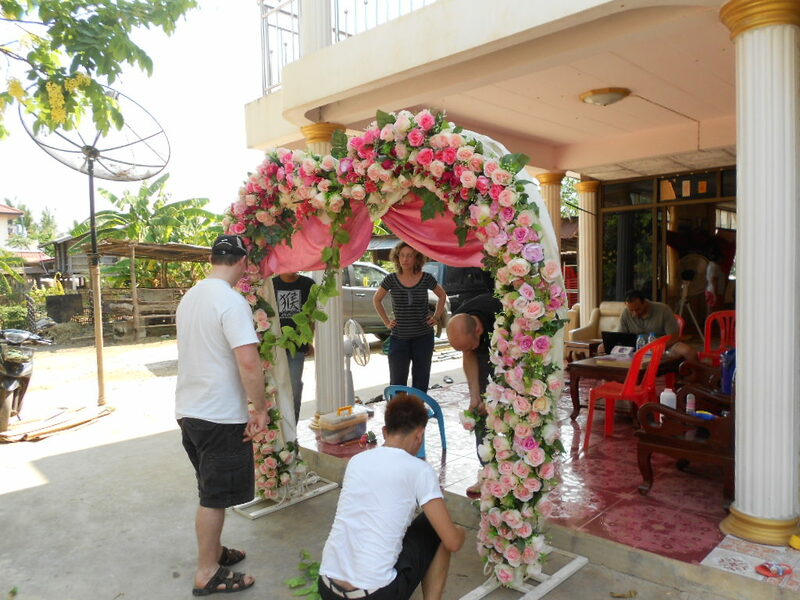 Despite language and cultural differences and being on different continents with almost 24 hours time difference between them, in my opinion, the bottom line of weddings in both Thailand and the U.S. is the celebration of two people who love each other and congratulating them on the start of their married life together. Cheers to you, sis and bro-in-law! I’ll keep you all posted if destination wedding location #3 happens in Spain! I vote yes! This entry was tagged Ceremonies, International wedding. Bookmark the permalink. ← The wedding season is upon us! Awesome photos! 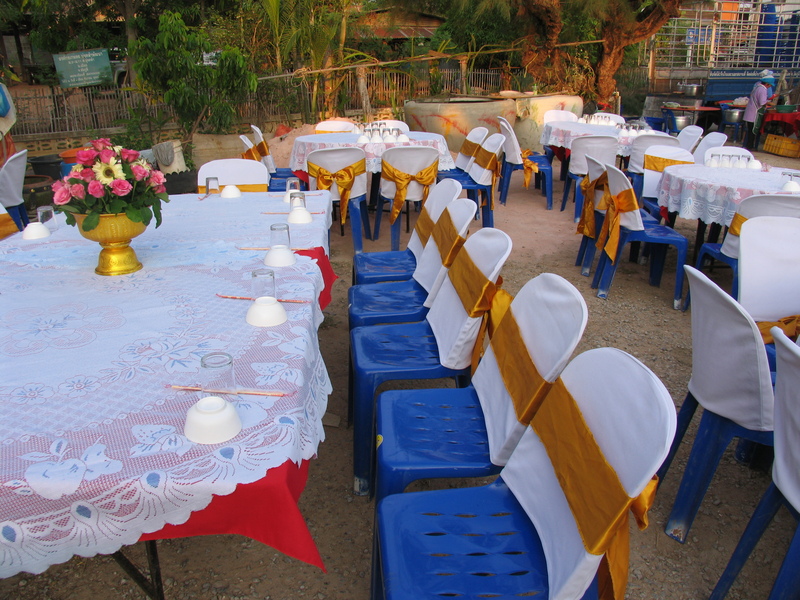 It’s so cool to see some aspects from a Thai wedding. Congrats to the happy couple.